Spices are also a good reason to cook. I thought I would follow up from yesterdays post, by noting that most commercial food is bland. It is marketed to the lowest common denominator, in this case, fat, salt and sugar. Not everyone has the same tastes, and for some reason, there are some who are afraid of new tastes. This would reduce sales of packaged foods, so they make sure their food is appealing to the widest audience. Even restaurants, unless they are marketing themselves as trendy, avoid using herbs and spices that would add odors and flavors that might not appeal to everyone. This is reason # 4,349,867 to cook at home. While cooking at home can be time consuming or inconvenient, it is the best way to ensure you are eating healthy. As I noted in yesterday’s post, spices add health giving benefits and flavor to your food. If you do succumb to buying your food ready made, take it home and add spices too it. You can split the difference, buy frozen veggies, frozen chicken breasts, partially microwave a potato and saute all that in a little olive oil, maybe some balsamic vinegar, add some rosemary, thyme, sage garlic, or whatever else strikes your fancy and you are good to go. While making coleslaw is a breeze in a food processor, if it doesn’t appeal to you, then buy the slaw mix, make your own dressing, substituting balsamic vinegar for regular, add some dill, marjoram or parsley to it. Here are some basic rules to try, and it doesn’t mean they can’t be broken, but if you are timid and want some guidance. Dill, Tarragon, Marjoram, parsley and sage are rather mild herbs, they can go in most any “white” dish, cream based, fish based, or mayonaise flavored. Try adding one the next time you make a cream soup or mayonnaise based salad. The “red” spices, that you are already familiar with from Italian cooking, are oregano, basil, rosemary, and thyme. They have strong flavors and you either like them or not. I would suggest them in any tomato dish, even canned tomato soup. Thyme on a pork roast with garlic, salt and pepper is out of this world. As I noted in a previous blog entry, I LOVE roasted veggies with rosemary. The “hot” spices, chili, cayenne, black and red pepper, can add zip in surprising ways. I add some red pepper flakes to my chicken soup. just enough to “wake it up”. The “sweet” spices, cinnamon, nutmeg, cloves, and ginger, are most familiar to us from deserts like pumpkin pie, apple pie, ginger bread and oatmeal cookies. They can go other places and be paired with hot spices for an exotic flavor. Chinese 5 season spice pairs cinnamon, star anise, and pepper, and I love it sprinkled on my roasted chicken. When you smell that cooking, you can hardly wait to get it out of the oven. Ginger is great in green tea. Mexican cuisine pairs chocolate and pepper in several dishes. Everyone loves tasty and easy. Spices and herbs are a great way to achieve that. Please leave a comment if you have a favorite use, or a novel one you think others should try. I was adding the spices to my oatmeal, and thinking about how many spices I took on a daily basis for my health, so I thought I would share. Spices and herbs are wonderful, they make food taste better and improve your health. I hope by now you all realize there is little distinction between food and medicine. Everything you put in your mouth is either for your health or against it. Just like sugar increases inflammation, many herbs and spices reduce it. Chronic inflammation is the root of many, many maladies, including heart disease. Herbs and spices appear to be universally helpful to health. They have been used in folk medicine for thousands of years. Some have very specific uses, especially in concentrated form. Oregano oil is an antibiotic, turmeric reduces inflammation, and cinnamon reduces spikes in blood sugar. 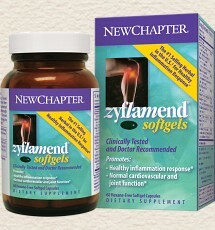 We have been taking “Zyflamend” which is a concentrated form of many herbs to reduce joint pain and inflammation. It does appear to be working. The information below is provided by McCormick. Oregano – 1/2 tsp. has as many antioxidants ad 3 cups of spinach – Sprinkle 1/4 tsp. onto grilled cheese. Garlic Powder – 1/2 tsp. has as many antioxidants as 1/3 cup zucchini – Stir 3/4 tsp. into 4 cups mashed potatoes. Black Pepper – 1/2 tsp. has as many antioxidants as 1/2 cup chopped tomatoes – sprinkle 1/4 tsp. onto scrambled eggs. Cinnamon – 1/2 tsp. has as many antioxidants as 1/4 cup blueberries – sprinkle 1/4 tsp. over anything from hot cocoa to oatmeal and fruit salad. Ginger – 1/2 tsp. has as many antioxidants as 1 cup cucumbers – sprinkle onto carrots, acorn or butternut squash and sweet potatoes. Cayenne Pepper – 1/2 tsp. has as many antioxidants as 1/4 cup honeydew melon – sprinkle 1/4 tsp. into hummus. Thyme – 1/2 tsp. has as many antioxidants as 1 med. carrot – sprinikle on steamed or sauteed asparagus along with a twist of fresh ground black pepper. Rosemary – 1/2 tsp. has as many antioxidants as 1/2 cup watermelon – sprinkle the tops of your favorite ready-to-bake rolls with olive oil, rosemary and sea salt before baking. Turmeric – 1/2 tsp. has as many antioxidants as 1 cup broccoli – Sprinkle onto steamed rice. Chili Powder – 1/2 tsp. has as many antioxidants as 1/2 cup cantaloupe – stir 2 Tbsp. chili powder, 1 tsp. ground cumin, 2 cans diced tomatoes and 1 can kidney beans into 1 lb. cooked ground beef for quick chili. Cloves – 1/2 tsp. has as many antioxidants as 1/2 cup sweet cherries – perk up applesauce by stiring 1/2 tsp cinnamon and 1/4 tsp. ground cloves into 2 cups applesauce. Cumin – 1/2 tsp. has as many antioxidants as 1/2 cup pineapple – sprinkle into soups, such as lentil, black bean and butternut squash. In case you are wondering- the oatmeal? Cinnamon, nutmeg, cloves and, mace. Turmeric on occasion, just for it’s health benefits, I wouldn’t recommend it in oatmeal otherwise. Walnuts for the omega-3’s, cranberries for the taste and antioxidents. Molasses as the sweetener- look at the label, probably the only sweetener on earth with vitamins and minerals in it. If you need any more ideas, just google herbs or spices, and there is a bonanza of great sites, talking about both the uses and benefits. Bon appetit!